Apple introduced Touch ID on the iPhone 5S back in 2013, which let you unlock the device with your fingerprint. While it was an impressive feature, it could only do that one thing—unlock the device. When the iPhone 6 and 6 Plus were released this year, Apple added a few more features to Touch ID, including downloading paid apps and using Apple Pay, but it still doesn't seem to live up to its potential. That being said, there is a way to make Touch ID compatible with username and passwords for websites and apps, that way you never have to type them in ever again, but you will need to be jailbroken in order to do it. 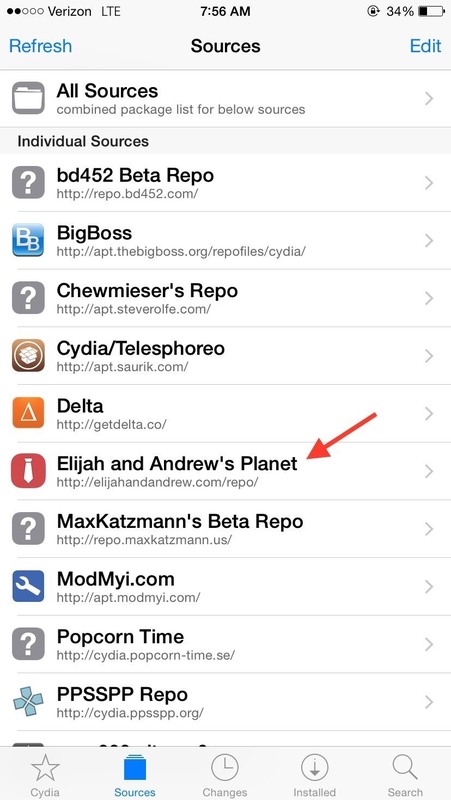 Head into the Cydia app, go to "Sources," tap "Edit" and then "Add." 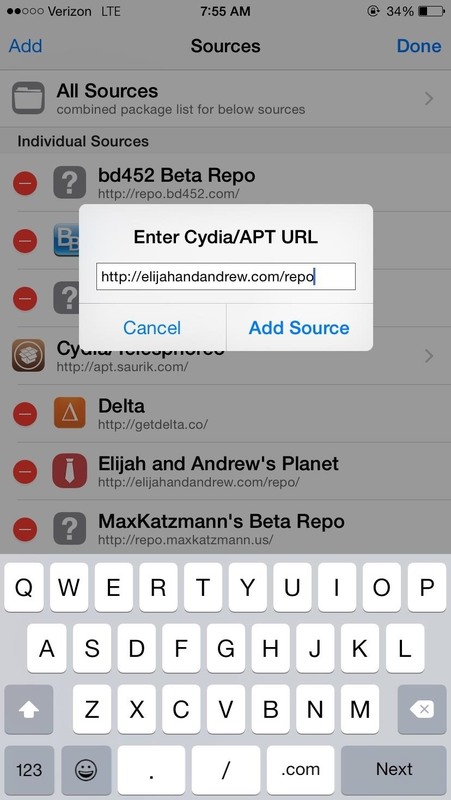 Enter the URL "elijahandandrew.com/repo" into the text field that appears and hit "Add Source." 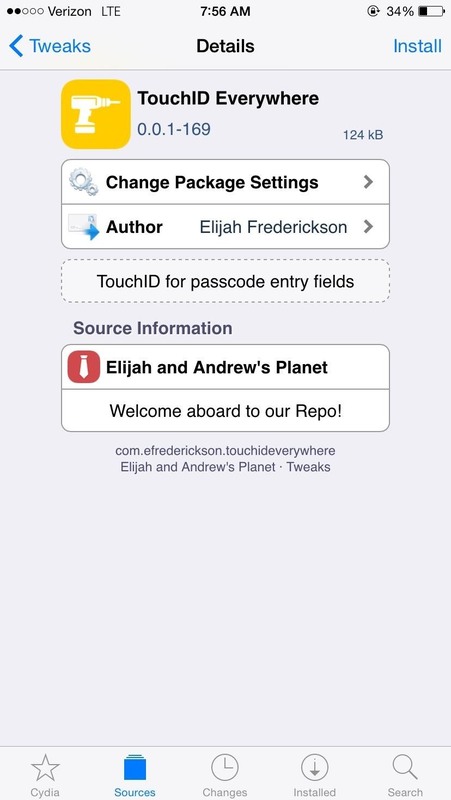 This will download Eric and Andrew's Planet repo, which has the TouchID Everywhere tweak that we need. Next, select TouchID Everywhere from the repo's "Tweaks" section and hit "Install" in the top right, then restart your springboard in order to activate your new functionality. 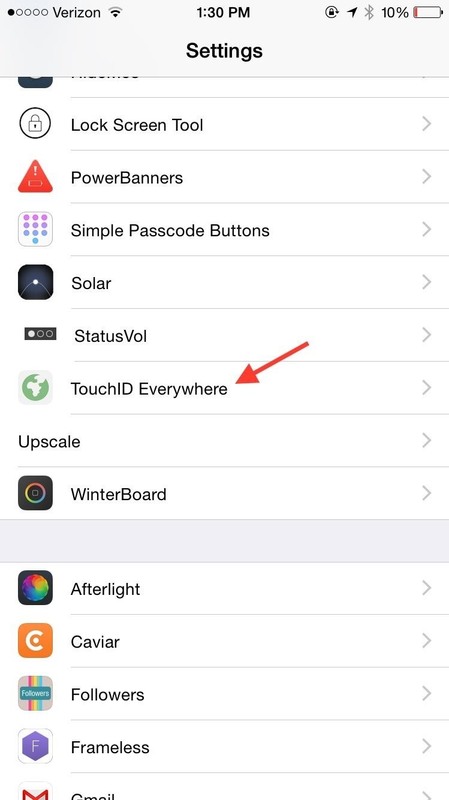 To enable TouchID Everywhere on your iPhone, just go to "TouchID Everywhere" in your Settings app and toggle it on. 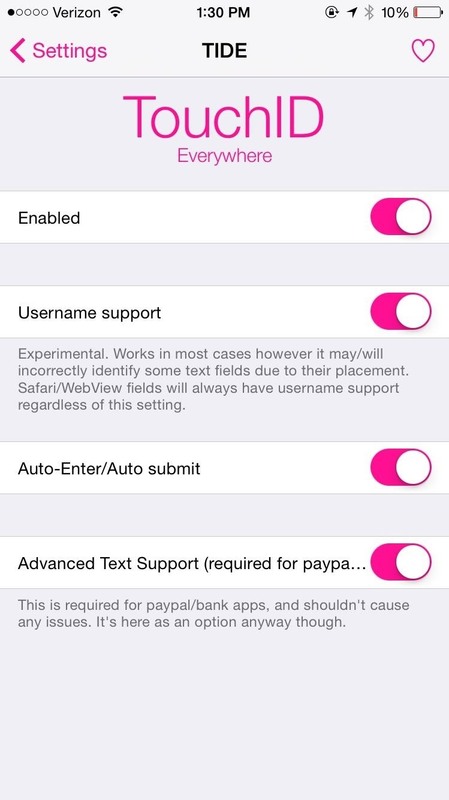 Here, you can also enable "Username support" for use in places other than Safari and choose to disable the popup that asks you if you want TouchID Everywhere to remember the username and password you submitted (via the "Auto-Enter/Auto submit" option). 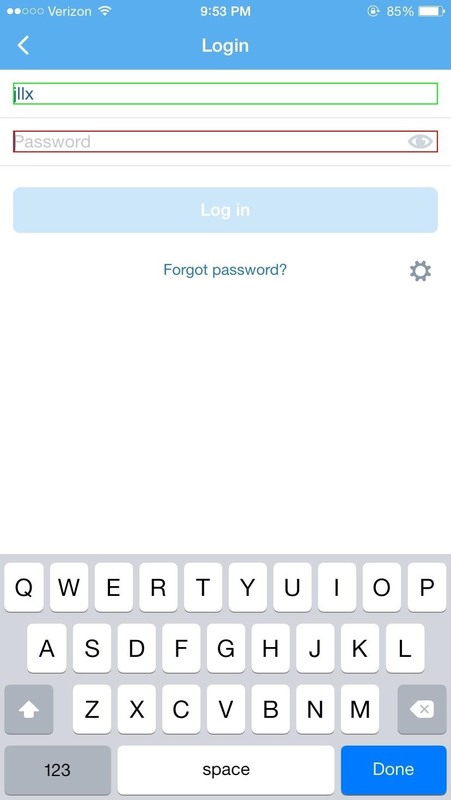 Now go to any password field in your mobile web browser or in an application and you'll notice a red box around it. 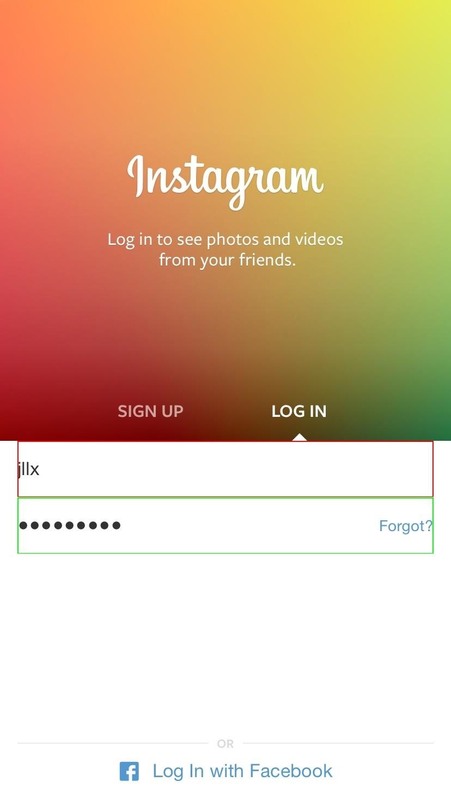 Enter your password and the box will turn green, signifying you can now use your fingerprint to enter a password (and username). Just press your Touch ID finger against the Home button to enter it. Below you can see examples for Instagram and Twitter. The tweak will also work in password fields through Safari, but it doesn't always work perfectly, which is perfectly acceptable seeing as this version of TouchID Everywhere is still in its beta iteration. 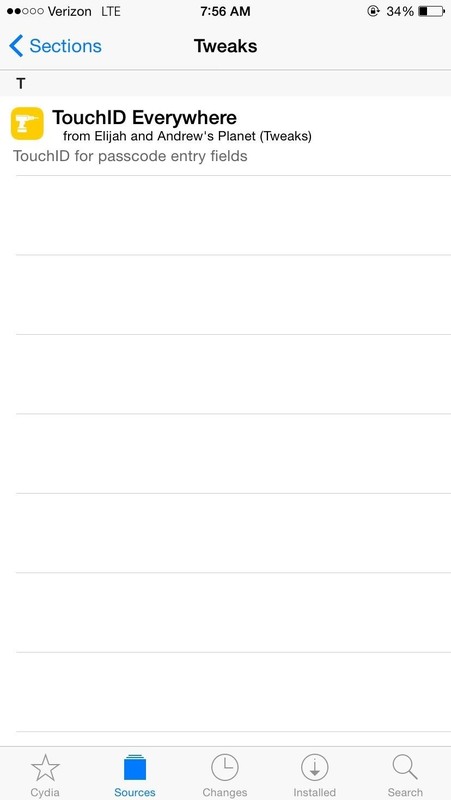 Like this tweak? Then check out LockGlyph, which lets you add the Apple Pay animation to your lock screen whenever you use Touch ID to unlock your device.